Atlantic Office Suites is located minutes from the Capital Beltway and Washington, DC via Connecticut Avenue. 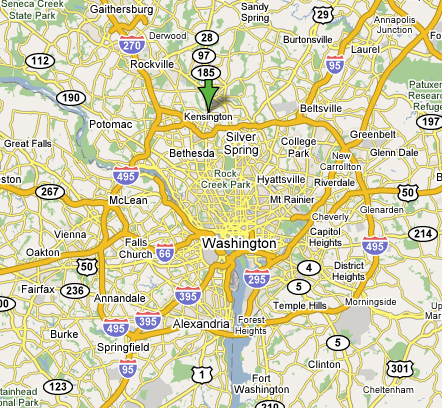 We are 8-10 minutes from the heart of Bethesda and 12-15 minutes from Tysons Corner. Red Line Metro Station is a short five minute drive.